People had used naturally occurring glass, especially obsidian (the volcanic glass) before they learned how to make glass. Obsidian was used for production of knives, arrowheads, jewelry and money. The ancient Roman historian Pliny suggested that Phoenician merchants had made the first glass in the region of Syria around 5000BC. But according to the archaeological evidence, the first man made glass was in Eastern Mesopotamia and Egypt around 3500BC and the first glass vessels were made about 1500BC in Egypt and Mesopotamia. For the next 300 years, the glass industry was increased rapidly and then declined. In Mesopotamia it was revived in the 700BC and in Egypt in the 500’s BC. For the next 500 years, Egypt, Syria and the other countries along the eastern coast of the Mediterranean Sea were centers for glass manufacturing. In the beginning it was very hard and slow to manufacture glass. Glass melting furnaces were small and the heat they produced was hardly enough to melt glass. But in the 1st century BC, Syrian craftsmen invented the blow pipe. This revolutionary discovery made glass production easier, faster and cheaper. 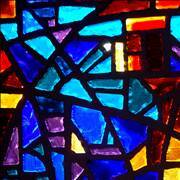 Glass production flourished in the Roman Empire and spread from Italy to all countries under its rule. 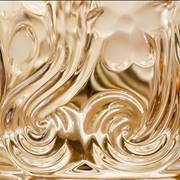 In 1000 AD the Egyptian city of Alexandria was the most important center of glass manufacture. 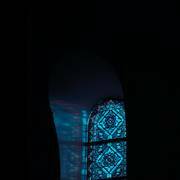 Throughout Europe the miraculous art of making stained glass on churches and cathedrals across the continent reached its height in the finest Chatres and Conterbury cathedral windows produced in the 13th and 14th centuries. The very first glass known to stone age people which was used for making weapons and decortaive objects, was obsidian, black volcanic glass. 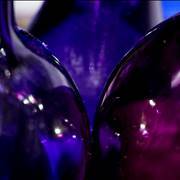 The earliest known man made glass are date back to around 3500BC, with finds in Egypt and Eastern Mesopotamia. Discovery of glassblowing around 1st century BC was a major breakthrough in glass making. 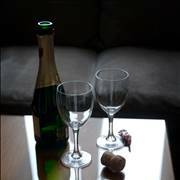 Glass was first made in the ancient world, but little is known about man’s first efforts to make glass. Amulets and solid beads were made in Mesopotamia as far back as 2500BC. 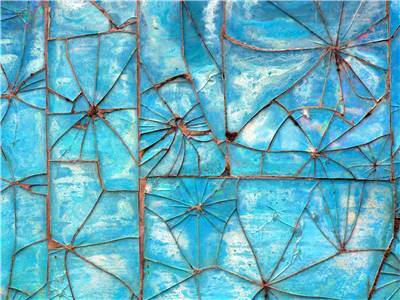 Later, glass making was further developed in Egypt around 1500BC. Did you ever wonder how glass is made? What are ingredients of glass? How many types of glass are there? 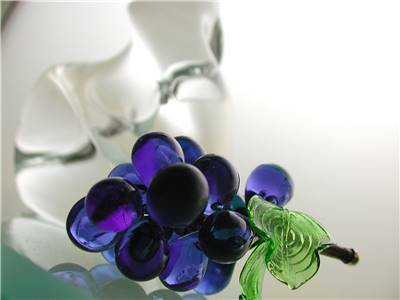 Here you can read about glass making process and related information. By the time of Crusades, glass manufacturing was developed in Venice and it became glassmaking center of the western world. In 1291 glassmaking equipment was transferred to the island of Murano. During 15th century Venetian glass blower, Angelo Barovier, crated cristallo, nearly colorless, transparent glass. By the late 1500’s, many Venetians went to northern Europe seeking better life where they established factories and brought the art of Venetian glassblowing. By 1575, English glassmakers were made glass in Venetian fashion. 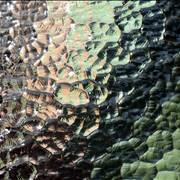 In 1674, an English glassmaker George Ravenscroft invented lead glass. The first glass factory in the United States was built in Jamestown, Virginia in 1608. 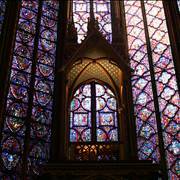 In the early 1800’s, there was a great demand for window glass which was called crown glass. In the 1820s, the age of blowing individual bottles, glasses and flasks was ended by the invention of a hand-operated machine. In the 1870s, the first semi-automatic bottle machine was introduced. After 1890, glass use, development and manufacture began to increase rapidly. Machinery has been developed for precise, continuous manufacture of a host of products. 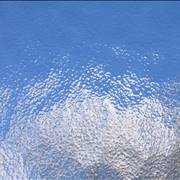 In 1902, Irving W. Colburn invented the sheet glass drawing machine which made possible the mass production of window glass. In 1904, the American engineer Michael Owens patented automatic bottle blowing machine. In 1959 new revolutionary float glass production was introduced by Sir Alastair Pilkington by which 90% of flat glass is still manufactured today. For detailed information about this subject read all our articles.